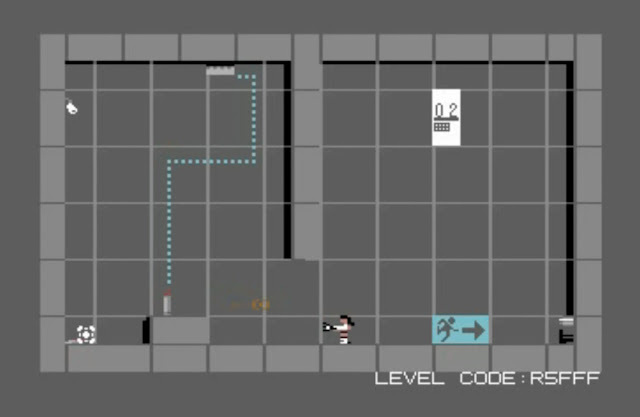 Indie Retro News: Portal arrives on the C64 and it looks rather smart! Portal arrives on the C64 and it looks rather smart! Portal C64 looks like a great conversion from its modern day vibe, as not only does it feature Portals and puzzles just like the original game, but there's a functioning companion cube AND full keyboard and mouse controls too. Although a Joystick is still supported! So if you've been looking forward to playing this game nows your chance to experience its greatness, especially as it was developed with graphics by Del Seymour and music by Roy Widding.